January in the sun kissed South West has been, weather wise, as depressing as a depressed thing under the weight of the World. Dull days, damp days, hardly a day of sunshine. Of course it IS January and the winter is in full force, but constant grey skies make me a grey person. But this morning despite the light drizzle accompanying the grey skies, I hot footed it out into the garden as a well overdue job was on the cards. Compost spreading. We love compost. It is like alchemy. Every day we hurl stuff from the kitchen into the green bin and for 6 months no matter how full the bin seems each day, 24 hours later there is a good six inches of space, with hundreds of brandling worms wriggling in the light, alongside woodlice, millipedes, centipedes and all manner of beasties. Eventually though even this legion of devourers can not cope and it's time to spread all their fabulous produce. Unlike some gardeners who work on a 6-8 week cycle, turning compost regularly to afford a quick product, we work on a 6 month slow compost route. We do put garden waste in the plastic composter but most of this goes into the wooden one next door, again on a 6 month cycle. First job then to strip off the top layer of material still waiting to the broken down, that'll make a lovely base layer when it goes back in. Then the black gold as many call it comes out. Three wheelbarrow loads from the wooden bin and nearly three from the plastic composter. We don't grow vegetables, purely an ornamental garden and wildlife friendly - it's never had chemicals. The ornamental perennials, biennials and annuals are mostly grown for pollinators with the odd exception for a bit of riotous colour. But that's in May or June when the first summer flush is dazzling the neighbourhood. But in late January it is the spring bulbs that will dazzle the neighbourhood. Ours at least. These Iris reticulata were planted in September and I remember us packing the bulbs into the pots thinking, spring is around the corner. Of course it was months away, and these only flowered yesterday, but that riot of blue did really brighten up the grey day...by the time the photo was taken it was drizzling even harder. Snowdrops of course are now coming into their own. Although they have sporadically been out down here in Somerset since the first week in January, the massed Galanthus show is just coming into its peak. Yesterday while heading into work at Tyntesfield the massed snowdrops by the quarry wall seemed incongruous, beacons of light in the mist, like miniature headlights in the gloom. I love snowdrops and have a few in pots which I look after all year like these Galanthus woronowii, known commonly as the giant snowdrop; not so much for the size of the flowers, but the leaves, more bluebell leaf in shape and rich green colour than the spear like sage green leaves of our 'native' snowdrop. 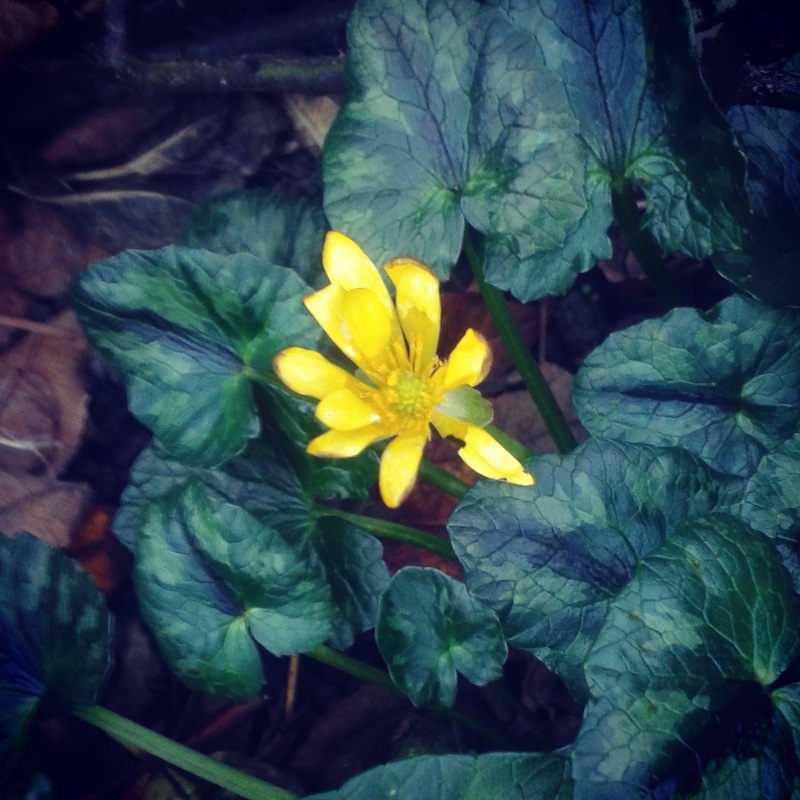 Look closely and the colouring inside the flower is just sublime.... Every One A Winner on these grey January days. 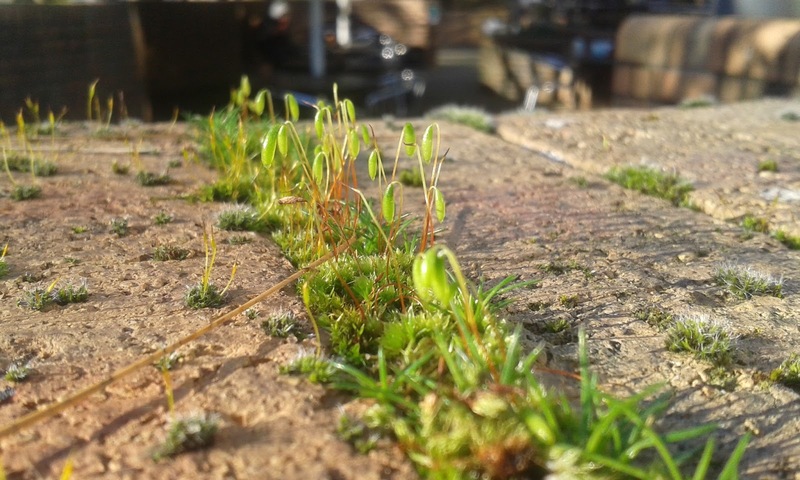 Picking up a little bit on my posting yesterday, with the sun still shining, these moss fruiting bodies growing on a brick wall at work caught my eye this morning. 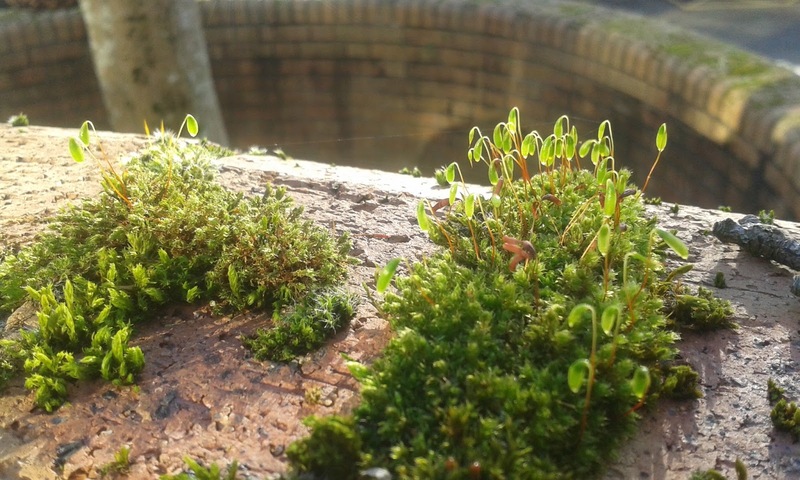 I'm no moss expert (which is a shocking thing to admit to as they are fascinating) but I think this may be a Brachythecium moss, possibly Ordinary Moss Brachythecium rutabulum. 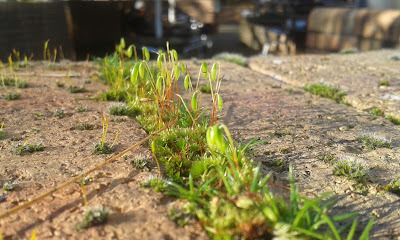 Whatever the moss, it is beautiful and looking at the wall top which is covered, there are at least a dozen different mosses, oh to have a handy plant specialist next to me to identify them. And as mentioned yesterday, every day in January something new comes along to interest me in the natural world.